WELCOME to Artesa Dental, proudly serving adults, children and families in Martinez, CA and the San Francisco East Bay. Dr. Amanda Backstrom and Dr. Cynthia Morford lead an amazing staff of people-friendly dental professionals who actually make dental visits fun and relaxing in a comfortable, spa-like atmosphere. 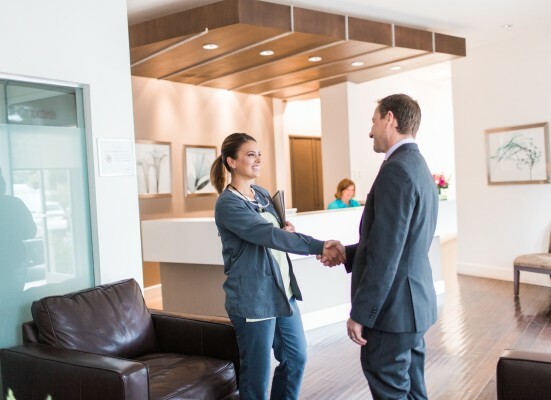 You’ll enjoy a state-of-the-art facility, headphones & custom, relaxing music, flowers and aromatherapy, and the most friendly, attentive and professional dental staff in the entire East Bay. Invisalign is the most incredible dental breakthrough of the last 20 years and Artesa is one of only a few preferred providers in the Bay Area. Invisalign not only straightens teeth INVISIBLY but also promotes healthier gums, easier cleanings, decreased risk of abnormal wear and TMJ problems. Premier dentist offering general, cosmetic and implant dentistry in a spa atmosphere. San Francisco, Walnut Creek, Pleasant Hill and Concord area.